Coaching is now widely used in a large number of private and public organisations and at the Brafferton Group we have a wealth of experience in this field. Its usage is growing fast and research to date indicates overwhelming evidence in its support. A Chartered Management Institute survey found that an overwhelming 80% of managers believed they would benefit from more coaching in their place of work. Another report by the Chartered Institute for Personnel and Development reported that over 90% of respondents agreed with various statements regarding the effectiveness of coaching to deliver tangible results and promote learning. The benefits of coaching can be evidenced by organisational retention of talent and the development of employee potential; improving financial performance; creating more effective leadership; driving up productivity, bringing about innovation; improved management of work life balance and tackling under-performance. 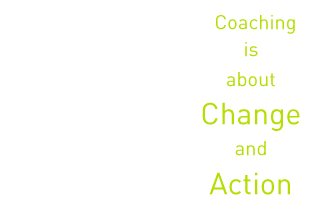 We are clear that the purpose of coaching is to bring about change and action, developing a person’s skills and knowledge so that their job performance improves in line with achieving organisational objectives. Coaching can also assist organisations to communicate and relate in a way that engenders commitment, responsibility, accountability – thereby enhancing relationships. We are guided by the principles of first listening to and understanding our client’s challenges and context, then asking skilful questions and providing appropriate levels of challenge and support. The Brafferton Group designs tailored programmes to support organisations who wish to introduce and/or develop a coaching culture by growing the skills of their managers and leaders to be more effective in coaching their staff. Coaching may well become the key leadership skill of the 21st century. The Brafferton Group is a member of the Association for Coaching and is guided by their code of ethics and good practice. Contact us for further information on the process and content of a typical individual coaching programme or the steps for introducing and/or developing coaching more widely in your organisation.